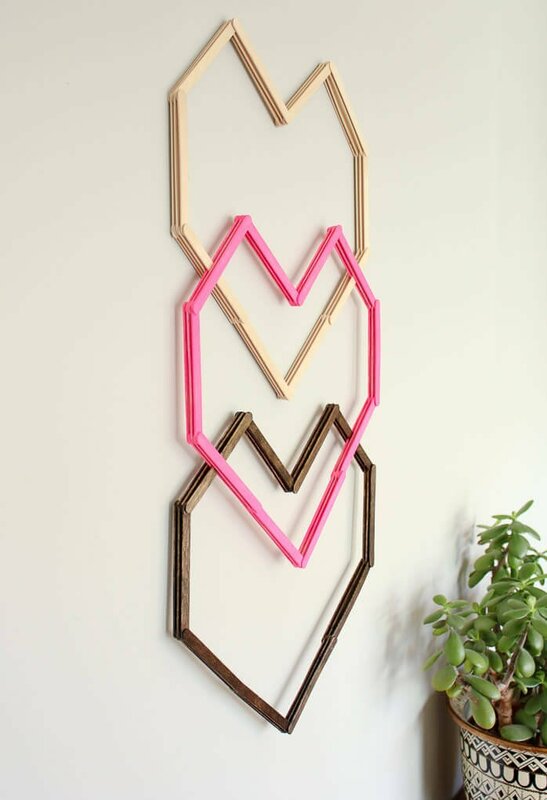 Geometric Heart DIY Wall Art - With Popsicle Sticks! 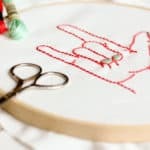 It’s my personal belief that if the name of a DIY project rhymes, it is destined to be born and it is our duty to bring it forth into the craft universe. 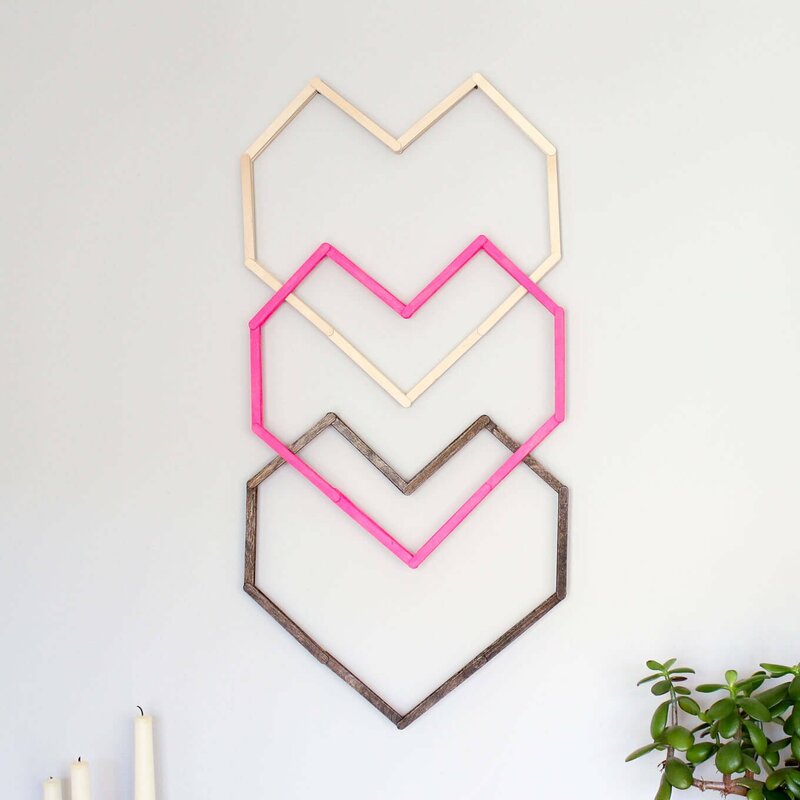 So today, I present: Geometric Heart DIY Wall Art. Behold! Is it Valentine’s Day decor? Could be. Handmade nursery art for a design-conscious baby? Likely. An inexpensive way to add a little visual serotonin to your blank walls? For sure. 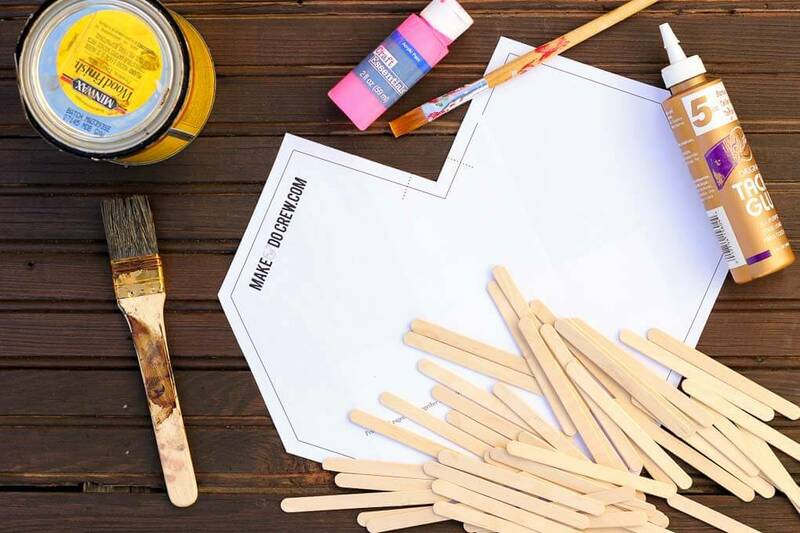 Popsicle sticks are so unassuming on their own, but when they pair up with their buddies Glue and Wood Stain, they become the ingredients for some graphic, modern DIY art. 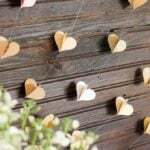 Except for this 3D heart garland, we don’t have a stitch of Valentine’s Day decor around here. Most people, including myself until about two years ago, wouldn’t see an issue with this. Truly, there are much bigger problems in the world. But now, I guess they’re just something about the post Christmas/New Year’s holiday hangover, combined with having a couple of little kids that makes me want to decorate for Valentine’s Day (and make my own Valentines too). If you’re not ready to take down your Martin Luther King Jr Day decorations yet in favor of Valentine’s Day decor though, no sweat. This is a great year round DIY art idea for a nursery, a child’s playroom or even an adult bedroom. Heck, I think this would look cool hung from your rear view mirror. 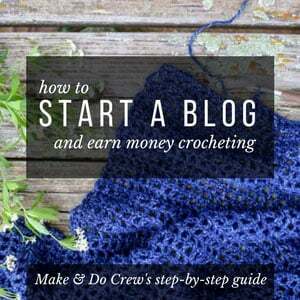 So you can spend more time crafting and less time shopping, this post contains affiliate links at no extra cost to you. Thanks for supporting M&DC! 1. 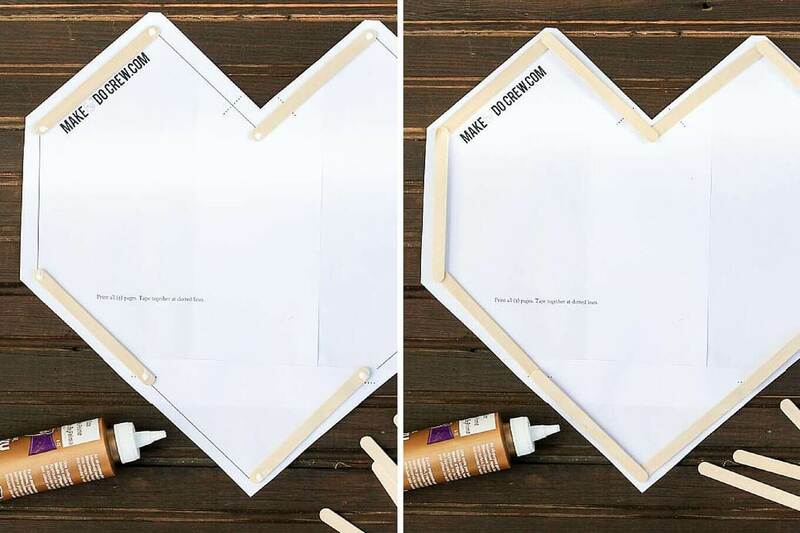 Print the heart template from the Make and Do Crew Subscriber Vault. (Enter your email in the box at the bottom of the post to gain access.) Trim the template pieces and tape them together. Hint: hold the sheets of paper up to a window to help you see them better. 2. 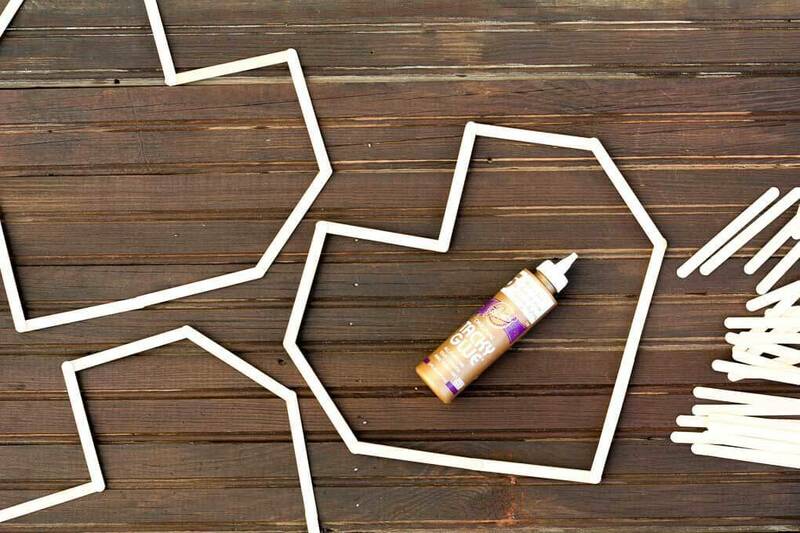 Add a dot of glue to both ends of several sticks and lay them out as pictured. I find it easiest to add glue to several sticks at a time and then position them in batches. Add glue to more sticks and build the second layer as pictured. 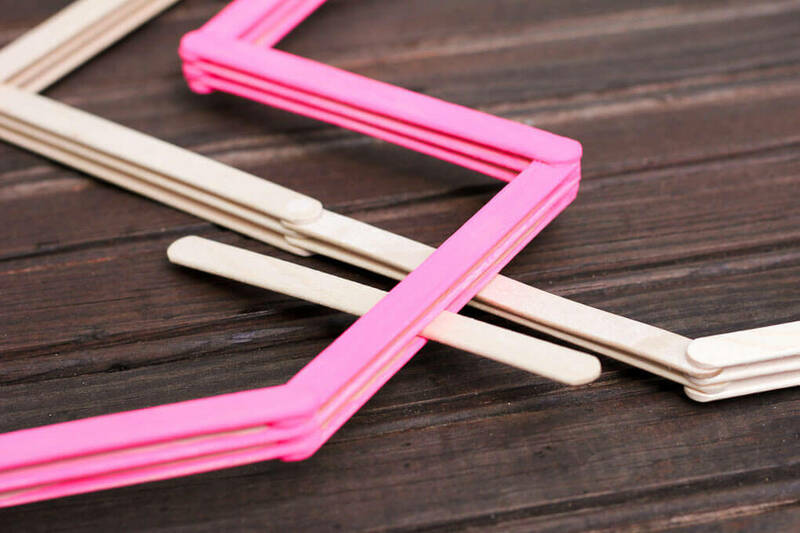 You want to repeat like this until each little wall is three popsicle sticks deep, except for the two sections with a “2” pictured below, which only need to be two sticks deep. This will become your top, natural-colored heart. 4. To build your pink heart, repeat the process, but make each “wall” three sticks deep. 5. Apply wood stain to the appropriate heart. NOTE: Stain two extra sticks at this point because you’re going to use them to join the hearts. Paint the appropriate heart pink. 6. Use a rag to wipe off any excess wood stain and make sure your hearts are good and dry. 7. Lay your hearts out vertically. First slide two natural colored popsicle sticks in between the bottom two sticks on the pink heart “walls.” Glue these two free-floating sticks to their new mother heart. At this point, I also used a toothpick to apply a little extra glue where the two hearts meet, just to add some extra strength. 8. 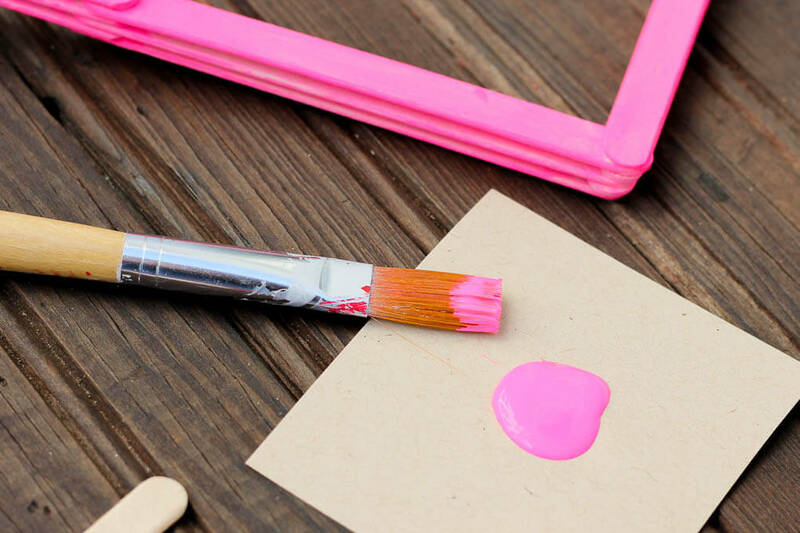 Repeat this with your two extra stained sticks, sliding them in between the bottom two sticks on the pink heart’s “walls.” It should look like the pink heart is sitting on top of the natural and stained hearts. Glue that puppy together. 9. Let everything dry really well so it’s nice and stable. To hang it, I simply put two small nails in the wall for the heart peaks to rest on. You could also tie a string between the peaks to use as a hanger. GET INSTANT ACCESS TO THE HEART ART TEMPLATE! How do you access the templates? I tried for the hearts and the hexagon shelf but can’t get one for either. I subscribed and entered the password. Thanks. Well, that sounds frustrating! It sounds like you received the confirmation email with the password in it? (It’s the same PW for everyone.) Did you enter it exactly as it was shown in the email? It’s case sensitive 🙂 Let me know if you’re still having trouble with those tips. I’m don’t want anything to get between you and your popsicle sticks! I’m sorry you’re having trouble. Have you subscribed using the form at the bottom of the post? If so, you’ll receive an email with the password to the Vault. The template is in there about half way down the page. Let me know if you still need any help. We’ll make sure you get it. Is there a way to position the hearts horizontally rather than vertically? Also, how tall is this piece if it’s hung vertically as you’ve pictured? I’m sorry I got really sick before Christmas and am just getting to some comments from that time. Unfortunately, I can’t access the finish piece at the moment, so I don’t know the exact height. I bet you could estimate it by looking at the template though. And yes, you can def orient them horizontally. I considered doing that myself. As you build the hearts, you can see that you’ll just want to leave the back layer of sticks off until you decide how you want hearts oriented. 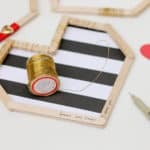 Then interlock the last layer as pictured in the tutorial to get the hearts to stay together horizontally or vertically. Absolutely love all your popsicle crafts. One question, can I use a hot glue gun instead of tacky glue or is tacky glue better for the job? Thank you for sharing!